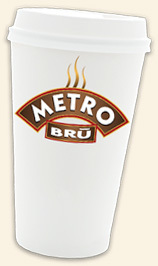 MetroBru serves locally roasted Espresso as well as a special MetroBru Blend for the brewed coffee drinks. You can expect exceptional high quality local coffee and espresso. Our philosophy is you will get "A True Bru" everytime you drive thru. You can also expect to find delicious custom made drinks, including one-of-a-kind White Chocolate Mochas, Big Train Blended Ice Coffees, Umpqua Dairy Ice Cream Espresso Milkshake, Real Fruit Smoothies, Red Bull Energy Smoothies, and Fit Frappes. 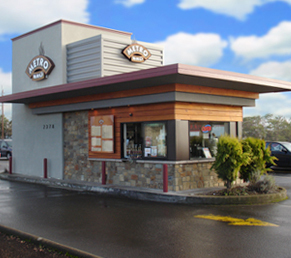 With two windows at each drive-thru location, customers will never wait long for their favorite drinks. Be a fan of MetroBru! 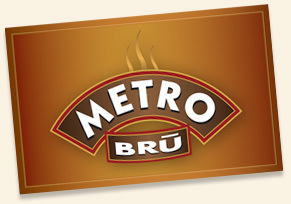 Give a MetroBru gift card!